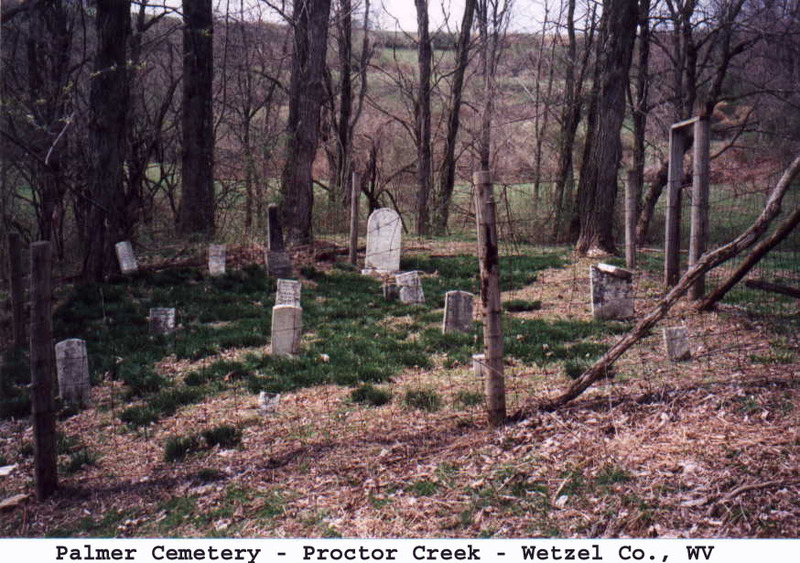 This cemetery is located on Friendship Ridge. 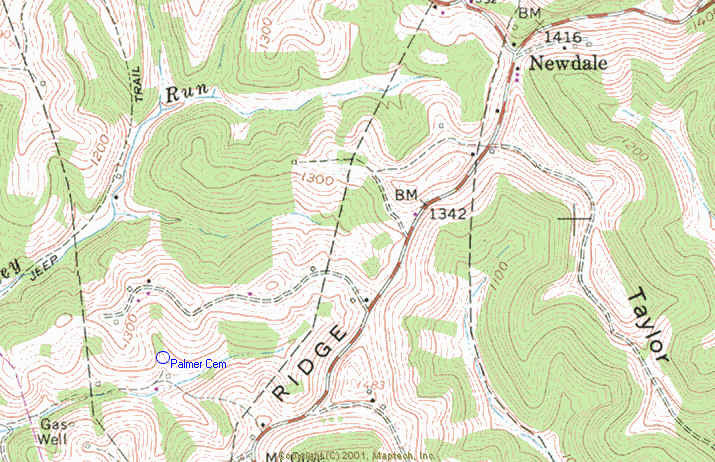 From Proctor, go out Rt 89 to New Dale, turn right at New Dale and go to the Mt. Olive Cemetery. Looking North West down over the hill and out of site about 500 yards is the cemetery. It is located at the head of Proctor Creek and there is an old barn beside of it. Jennett I couldn't read the dates but believe this is the un-named female on record as b & d 4 Aug 1861 child of Ephraim & Jeanette Montgomery Palmer as they are all in the same row. 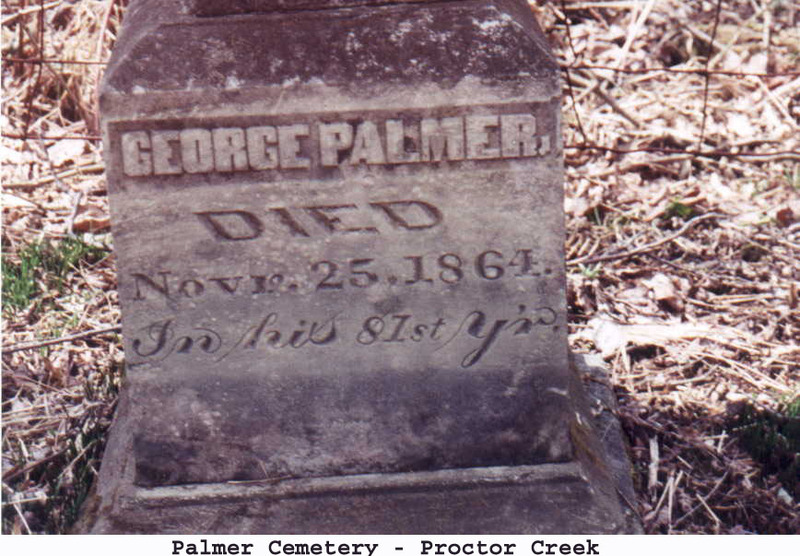 Palmer, Sarah J 21 Mar 1849 4 Oct 1854 I believe this is the daughter of William and Ann Montgomery Palmer, as they are in the same row as their sons. 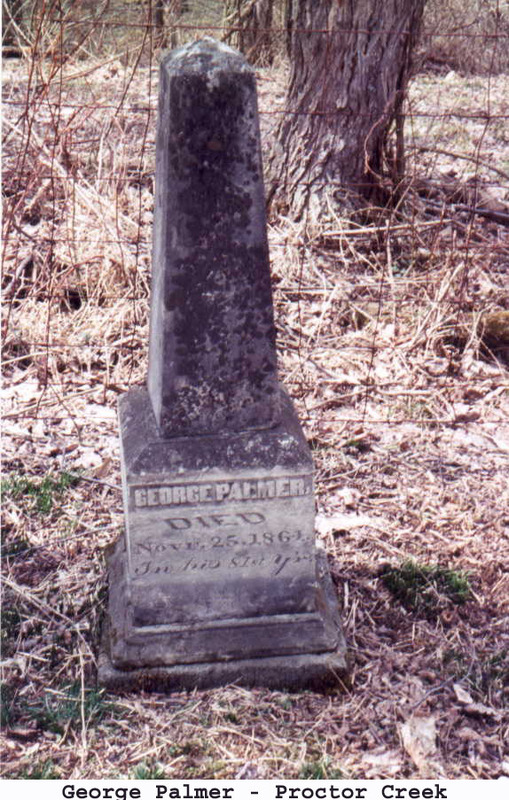 Marker is repaired but unreadable. Stansberry, Penelope 27 Mar 1883 85th year. Penelope was the wife of George. 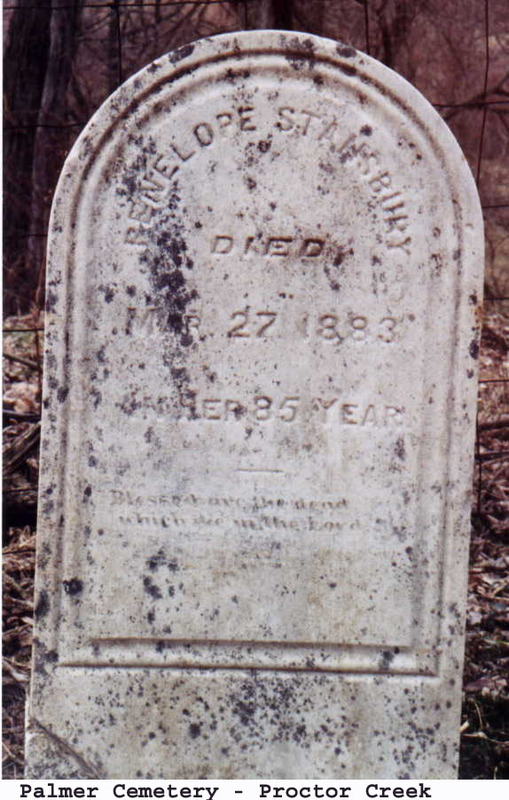 She remarried after his death, but is buried beside him.